Many of you know I am doing a rewrite of Inside The Forbidden Outside, What a journey this has been since I decided Jamie’s story needed to be written. It is not because his story is so unusual, but because there are so many people who have lived the same story. There are different characters but the underlying theme is the same. People need to better understand this story because too many still say the line, “If he did the crime he needs to do the time.” How do they know if he did the crime? How do they know the underlying reason why so many live this story? If someone only listened to or read mainstream propaganda, which is getting worse, why would they believe anything to the contrary? They might also believe the white race is more deserving, privileged, more intelligent and less likely to do drugs or commit crimes, especially since there are so many more people of color in the prisons than white people. No part of that statement is true. Many white people can’t stand the thought they aren’t superior to other colors. When a race has been trampled on as much as the black race and other minorities are catching up, there is an all out effort to keep white prison corporations as rich as possible off the backs of people they don’t like to continue this false illusion. But wanting to write a book is not as easy as knowing how to spell and where to put a period. It has taken me a couple years of writing and studying to get this far. Working with a story editor this time has given me a much better grip on what I’m doing. Anyone can self publish an inferior product and not be able to sell their book, but this is far too important to not do the best I can. Since no one sees every post I put out, and if you are interested in what I’m doing, please subscribe to my newsletter below. I put out an issue about once a month on different justice issues with an update on the book. I don’t send you several emails a day like some do. I hate that. I also don’t have time to do that. I am combing through 4-500 letters Jamie and I have exchanged to pull out the most important ones to use. These letters are like a diary that hold his growth into a man and our growth in communication. His effect on my life has been tremendous. It has also been a two-way street. We would not have made it this far without each other. To explain where this letter is in time, I had moved from Key West, FL to Pa in August 2010 to get on the liver transplant list at Penn State Hershey Medical Center. My local Dr couldn’t help me anymore. My body had swelled with fluid and I looked like a beached whale. They couldn’t tap me anymore to drain fluid because it was everywhere, even in my skin. I already had two tumors in my liver and if I developed a third they would take me off the list and tell me to have a nice life. I won’t get into the details because it is fairly gross. When the liver became available the Drs told my husband, but not me, that I literally had days to live. I was bedridden and couldn’t type or hold a pen or feed myself, but I had a laptop beside me and I typed letters with one finger. I had no doubt I’d be okay. I still had too much to do. Jamie’s letters were a major source of encouragement. The transplant took place July 2nd of this same year. Dearest Jamie – life always goes up and down. Even for people who think they have everything so many of them aren’t happy, get depressed, and feel as though they have problems they will never get out of. But it is really all in the mind and how you view things will determine how you feel. I can’t imagine how hard it is for you. I can’t imagine having a family who cares so little and who will think only of themselves when you get out and how hard it was for THEM. Rise above. Develop an inner strength that will see you through the tough times. For Xmas I am going to get you a subscription to a weekly newspaper that I read. You will understand better what I am saying. It is all about having hope. You know I am not a Christian. I am a Buddhist. The philosophies are very different. We don’t pray to an outside source to change things for us. We learn to change from the inside out. Every day I chant Nam-myoho-renge-kyo. It is time for you to try something different to help you figure out your life. You tried going to church. You tried Islam. Nothing gave you the answers you were looking for. Now it is time to help you find them. I promise you this will change your life. Here is how to sound it out. If you counted to six evenly over and over you would have the rhythm. One- two -three- four- five- six. In music it is called 6/8 time. 1.Nam ( the a is pronounced like ahh) It doesn’t matter if it is pronounced right or not. 2.myo ( like a cat’s meow but with and o ) It is the attempt that matters. 4.ren- ( like rent ) with it, direct your mind to pray for what you need. 6.kyo (like myo ) reason. The more you chant, the better. I have often chanted for 3 or more hours at a time. You will feel better and your head will feel better. People will notice the change. You are such a worthwhile person. Some days it is hard. There is good and evil. Things will happen to try and make you stop. Don’t let anyone stop you. It isn’t easy doing this through the mail, but when you start getting the World Tribune and read and learn, it will make more and more sense. This is the best present I can give you. I’m doing a little better every day. The pain is decreasing and the excess fluid is going down from the new medication. Mike said I look like a drill sargent since I don’t have much hair except for a little buzz on the top! It used to be down to my waist. Oh well . . . it grows back. I don’t want anymore chemo that is for sure. It was that procedure that I think gave me the infection I had. But at least they caught before I got any sicker. I do have good drs. Thank goodness I have medicaid. I can’t imagine what 3 days at Hershey Med costs. Probably more than I make, or used to make in a year. So, next stop – transplant here I come!! Little Jamie will never hate you. He doesn’t really understand, but children are very forgiving. He only wants his daddy. I was lucky for Xmas because I still had quite a few toys and books left from closing the store. I knew Megan had no money so I wanted to make sure everyone had 3 or 4 presents under the tree – including Megan. I gave Jamie a 3-D puzzle of a pirate ship that Alex helped him with. I think that was the best thing for him. It wasn’t just a toy to play with and then forget about. He could be proud that he helped make it. I had puzzles for 3 yr olds that was good for Cozmo. I got clothing for Alex and Alyssa – important things in school. Can you believe that Alex will be 15 on March 2?? He has grown to be a good kid. Meg has always been a strict disciplinarian and it is paying off – even if her daughter hates her at least every other day! Megan has not forgotten you even though it often feels that way. She gets so quiet when I talk about you. Afraid to think too far into the future. p.s. Sounds like you had a great xmas meal. It makes the little things so appreciated. I wish you could get care boxes. Also – I am going to pay off your med fee. It doesn’t give you any money yet, but toward the end of the month I’ll put a little on your account so you can get some things you need. Today I started reading through old letters I sent Jamie. This one is six months old and it was written at the time after he had just lost his new privileges of being able to make phone calls and have contact visits – for three weeks. It was devastating to be sent back to lock up again after it took him another two years to reach a level where it was allowed. It happened because of lies by guards and no one would listen to you. The guards are always right and the inmates are always wrong – every time. If a guard does not back up whatever another guard says he, himself, will be retaliated against. When that happens it is hard to keep your anger from making you lash out. Nam Myoho Renge Kyo is like the roar of a lion, there what illness can be an obstacle? I mention daimoku which is a Nichiren Buddhist chant – Nam-Myoho-Renge-Kyo. Like meditation it allows you to have better control of your mind, your thoughts. Practicing Buddhism has been very good for Jamie. It has been part of my life for a very long time. I started teaching Jamie Buddhist concepts and how to apply them at least 6 years ago. Being in prison is more difficult than you can imagine, knowing the years you lose, you will never get back, and the abuse you will have to take will be humiliating, because it is wrong and there is nothing you can do about it. Chanting, with the deep breathing you have to do, lowers your stress level. High stress also makes his epileptic seizures more frequent. This allows the person inside to shine. We have to understand the right thing to do, instead of responding emotionally. But chanting doesn’t mean you will always do the right thing. We are human. We learn from our mistakes. Changing our habits and our reactions is a life long battle with ourselves. But I believe – asking someone or something outside ourselves to fix our problems that cause us unhappiness. Change must come from within. Chanting gives you time to think about your life and take responsibility for your actions. It is about gaining the wisdom to make the right decisions to change your life – to see things in a different perspective. Living in a prison is about as close to the concept as hell as you can get. Buddhism does not look at hell as a place you go to when you die, but rather a life condition you live in here on earth. What better describes that life condition than a maximum security prison. 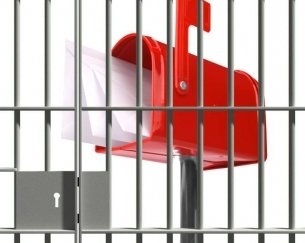 This letter was sent using jpay.com, a system set up for most state prisons, not federal. I can type an email letter, or send money through them. To send a letter costs one “stamp” per page. To send a picture is one stamp. Two pictures is two stamps. The advantage is they get it faster, and my typing is easier to read than my handwriting! I do write, though, because I know it is a more personal connection. Just a quick letter today. I wanted you to know that I did talk to Ms Johnson in classification. She said you had to go to the UCC (prison court) on May 12 for a case. She said she didn’t have anymore information. She said after that you would be released, but she didn’t say released to where. Jamie, you can’t fight them. I know this is so hard. You worked so hard and waited so long for your privileges but they always find a way to knock you down even if they have to lie to do it. I know they didn’t do you right. You need to keep the bigger picture in mind and put all the rest of the garbage out where it belongs – in the trash. I know it’s hard. You probably won’t get this letter in time – but chant daimoku (Nichiren Buddhism) before you go to court. Center your mind. Stay calm. You have grown so much and learned so much, but that doesn’t mean we don’t make mistakes sometimes. The harder we try to change, life throws curve balls at us to keep us down. But if you remember there is something to learn from everything, you will be okay. This will be over one day. It will be behind you and you will have a chance to live again. Have faith in that. You will have a life and it will be a life you will be proud of. All of this you are going through is making you the person you are. A person with compassion. A person who will always know what it is like when the chips are down. You are learning things through all of this. I will be chanting for you tomorrow to be strong. Have no doubt, Jamie. Keep your dreams in the front of your head. You might find this a bit funny. You REALLY upset Bill (my egotistic brother-in-law who uses his knowledge of the Bible as a way to feel important, but doesn’t apply any teachings inside the covers to his own life) with that plastic Christian remark you called him. If the shoe fits, wear it. My sister and family had a field day ripping you and me to shreds because of how much he “helped” you, and you had the nerve to expect him to follow through with the things he said he could do for you,. I should have known better. You bruised his inflated ego. If it weren’t true it wouldn’t have bothered him so much. He knows what he did – he just didn’t want anyone else to find out about it. He said were ungrateful. It must have made him feel good to rip apart our relationship. Well, I hope he enjoyed himself. After all he is such a sincere Christian. You are a much better man than he is. The law of cause and effect applies to him as well. Hearing those words, “Cause and effect” makes him go berserk with rage. But isn’t it the same as, “You reap what you sow”? My mom wants to have a happy family. It ain’t gonna happen any time soon. I wouldn’t go to any family affairs if they invited me, which I doubt they will – because I don’t like to be around plastic people either. I have other people in my life who know who I am and care about me. After almost 5 years of trying to have a family since I moved here – I give up. I just can’t live life they way they do. I can’t pretend. But remember – the best revenge against people like that is to have a good, happy life. Live with the principles you know to be true. Treat people the way you want to be treated. On that note – write me asap and let me know what’s up. What a mess this all is. I love you. Never forget that. In addition to being a writer, I am foremost a musician. 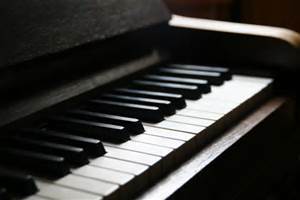 My instrument is piano and I have played for 53 of my 60 years, and have taught for 42 years. I spent years singing and playing piano in piano bars and with various bands. I had to give that up 13 years ago due to health problems, but after that, my music changed. I no longer played what other people have written and play only what comes from me. I only improvise, and sometimes I’m lucky enough to have a way to record it when I’m playing at home. I still stop at every piano I see in any club or piano setting and play for free. Now I write music for this website. Music is on some of the posts. I like to close my eyes, preferably in a pitch dark room so I have no distractions and play whatever emotion I’m feeling. To me, it’s not only about the notes you hear being played, but also the spaces in between where the sound of the notes come together. Then I don’t listen to it for a few days. When I play it back and I am sometimes amazed by what I hear because the emotion is there. I can’t repeat anything I record. I would just sit and play something else. Here is a link to the last post that has my most recent recording: https://mynameisjamie.net/2015/02/08/in-prison-who-do-you-have-to-care-about-your-day/ There is a link at the menu button on the top of the main page https://mynameisjamie.net/ that has a link that says piano music links. After that, the most important post to read starts with “I want to encourage you. . .” the entrance to the blog that tells you how to navigate it.. When my book, InsideOut, is released, I want to include with it, a CD of the music I have written and posted on this site. It is strange knowing that more people have heard the music of Sonni Quick this past year on the internet then they ever did before when I was playing live. Maybe it is my second chance. For quite a long time, I thought my identity was gone. Not being able perform and spend time in recording studios anymore was a loss where I felt much grief, as if a leg had been cut off. For so many years my identity was that of a musician and I didn’t feel I had the right to call myself that anymore. Who was I? It was a difficult question to answer. It has taken awhile to realize that identity didn’t disappear, it was just hiding until I found it again. After nearly losing my life due to liver disease and cancer, making the most of my life now has changed my perspective. Jamie helped me through that illness and recuperation and being confined to my bed for nearly three years. His letters of encouragements were something I looked forward to. As soon as I was well enough and I could type again. ( I had to relearn many things) I started writing http://mynameisjamie.net and also http://watchandwhirl.com. My music has all been inspired by my feelings when I write about Jamie. Many are sad because it sometimes gets overwhelming when the writing gets heavy. That is when I go to the piano and play. Now I can just plug my piano into my computer instead of putting my Nook near the speaker, and the quality of the recording is better. The music and the blog go together. Aren’t there sometimes people who come into your life and you feel like you’ve known them forever, and there is a bond there that feels different from the way you feel about other people you meet? You feel there is a reason they came into your life? People come and people go out of our lives. Why is it that some people become special? Please leave a response, and use the yellow stars. In a club people can clap and tell me personally what they think. Now your written response is all I have. All criticism is also welcome. If you want to join other people who want to know how the book, InsideOut, is coming along, with the possibility of future purchase, please fill out the comment form below. When I write to Jamie I often write to him through an email system http://jpay.com. I can send him an email letter or send him money. I also buy the “stamps” it takes to send the letter that are the same cost of a regular stamp and it costs the same as a regular stamp cost and changes when stamp costs changes, although none of this money goes to the government. You can buy books of stamps of just a few up to 40 stamps. If anyone were to want to send him an email his prison number is #1368189 and he is in Texas. I know he would be very surprised, and when other people have written to at different occassions, he has written back. I was going through old letter that I wrote him and I came upon this one written 3 1/2 years ago. i thought it was interesting because it was the first time I talked to him about writing a book. The idea of this blog hadn’t entered my head yet, but at this point we did have five years of of letters accumulated. i haven’t even gone back into these letters yet because they are in a box in my garage and it is way too freezing cold to go look for them. Besides, I still have letters I haven’t gone through. It don’t think when I took it on how much work it was going to be. I also didn’t know what a labor of love it was going to be, or the possible impact it was going to have on his life. I don’t regret a minute of it. I will be going through more of my letters to him to find ones that are relevant to letters He wrote to me – since these are letters “shared” between us as the tag line goes. It took a lot to get him to start opening up more and talking about things that are private. He also wasn’t used to anyone thinking his life was special in any way. he was more embarrassed or ashamed of being there. That has been awhile back now. he’s dome a long way and has grown into a person I am proud to know. Hello my son. I just wanted to make sure that you knew I put more money in your acct. Also, I ordered the mag sub and bought you a new book from Amazon. It’s being sent from Texas by a company that sells new books, but I just thought of something. Even though it is new the box won’t say Amazon. So you might not get it. Will they let you know at least? If they won’t let you have it then I’ll get another one for you from Amazon.